Data Scientists have been named the sexiest job of the 21st century, and are so in demand that there won’t be enough of them to fill every position by 2018, according to a report by McKinsey Global Institute. With the amount of volume and variety of data churned out by businesses, consumers and governments today, it’s no surprise that data science and analytics are slowly becoming a regular part of company positions as well as school curriculums. A new master’s program at New York University will apply technology to urban problems such as traffic congestion and utility grids. Classes will be held in the new Center for Urban Science and Progress, also known as CUSP. NYU says half the world population lives in cities, so CUSP will be dedicated to analyzing data to understand and improve city living conditions. Two large labs will offer students insight and understanding of large urban data sets that are simulated in large, complex computer models, as well as an electronics lab. CUSP is partners with four United States Department of Energy Laboratories. CUSP says it expects to generate $5.5 billion in overall economic impact through the new research and technologies it develops. It’s expected to develop 7,700 jobs and spin off 200 companies in the next few decades. A few of the companies that have partnered with CUSP, and which will be seeking and competing for professionals in the field, are IBM, Microsoft, Xerox and northeastern utility Con Ed. Most master’s degree programs in data science require basic programming skills. From there students build analytical skills, scraping raw data until it makes sense, so they can communicate research to the company or government where they work. 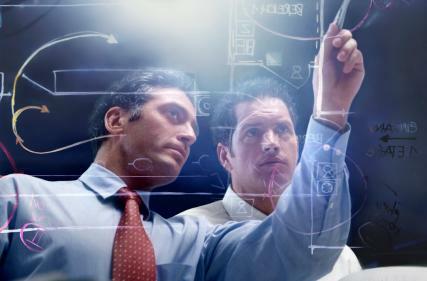 Data scientists need statistical, predictive modeling and business strategy skills. Glassdoor, a website that lists salary data, says the median data scientist salary is $117,500. Interestingly, however, Bureau of Labor Statistics, which lists salary trends and forecasts job growth for many different positions, doesn’t even have a category for data scientists.